Successfully Added Radio Control Wild Stunts Toy RC Car (220V) to your Shopping Cart. Radio Control Wild Stunts Toy RC Car for flips, tricks, and amazing moves! If you can imagine taking the best qualities of a monster truck and a dune buggy and bringing them together in earth-shattering vehicle then you have an idea of how much fun this RC stunt car is. Attractive and futuristic in a beautiful black and silver finish, it has front precision and rear fat translucent tires for traction and instant stopping maneuverability. It would be the perfect vehicle for a monster truck rally on Mars! With the special remote controller, make it jump, flip, twist, and even challenge your friends to see who can do the most inspiring combos! The possibilities are endless as you discover more and more tricks you can accomplish with a little practice. The key to all the incredible moves which this vehicle is able to do comes in the form independent left and right suspension and your ability to control each side from the radio controller. This creates the opportunity for spills. thrills, and non-stop excitement! This makes a brilliant birthday or Christmas gift, or just a nice present for your child or favorite nephew. And as always, this wonderful product is offered to you at a low wholesale price. From the leader in unique direct from China electronic products, Chinavasion. The default charger for this product is for 220V. If you need a 110V power adapter then order CVGM-T08-110V. Order today from the leader in electronic wholesale, Chinavasion. 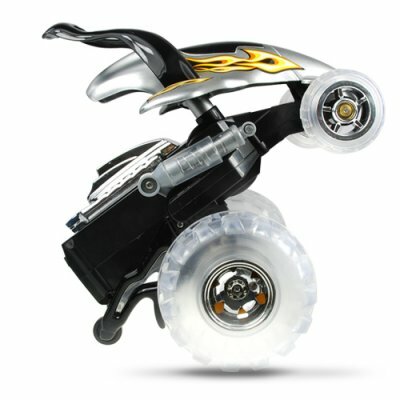 These RC toys would make a great addition for resellers!